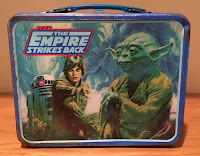 When I was a kid... your level of coolness was based on who you hung out with, the kind of bike you rode, and the lunch box you brought to school. 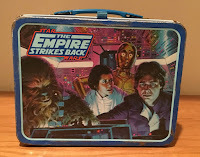 Even though I was often the runt of the classroom, I was lucky enough to have friends who were either jocks or thugs who looked out for their little Japanese buddy. I always had solid grades, which meant that my parents always rewarded me up with a decent ride. One of my personal favorites was my Schwinn Predator with the layback seat post and Z-Rims... but I also loved my GT Mach One. 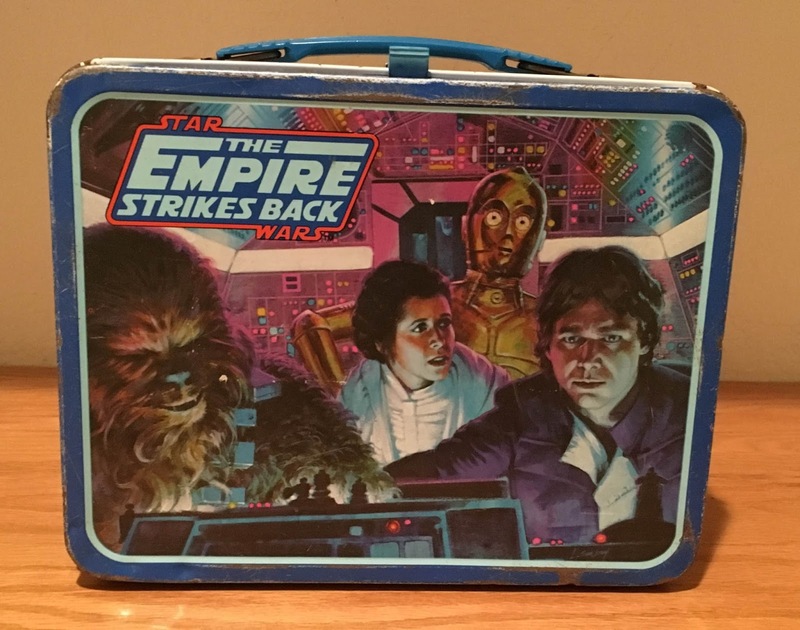 And being the huge Star Wars geek... you know I had the original Star Wars metal lunch box with the Tie Fightershooting at the X-Wing. But for some reason or another... 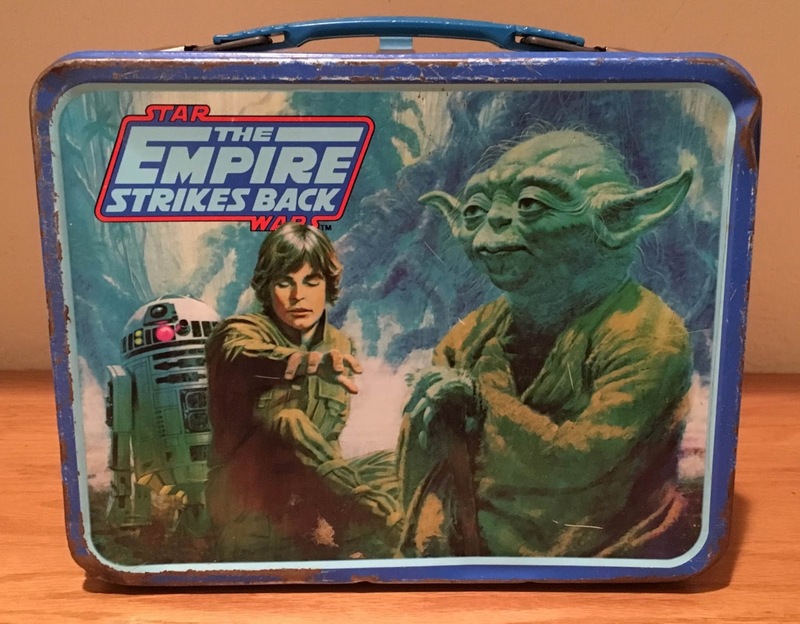 I never owned either of The Empire Strikes Back lunch pails. 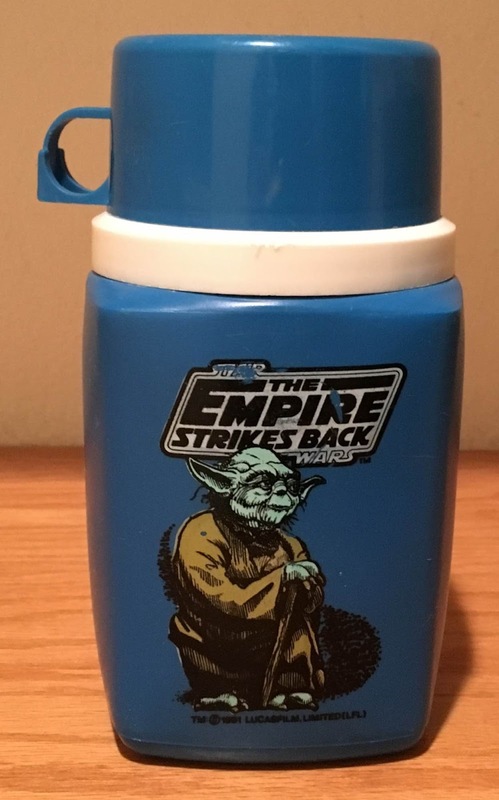 But... just to make sure I wasn't getting ripped off, I did a quick eBay completed sales search and discovered that prices ranged from $17 to around $70... depending on the condition. I decided to offer him $20 which I felt was a win/win price. He wouldn't have to pay eBay and shipping fees... while I wouldn't have to pay the crazy prices some collectors were paying. 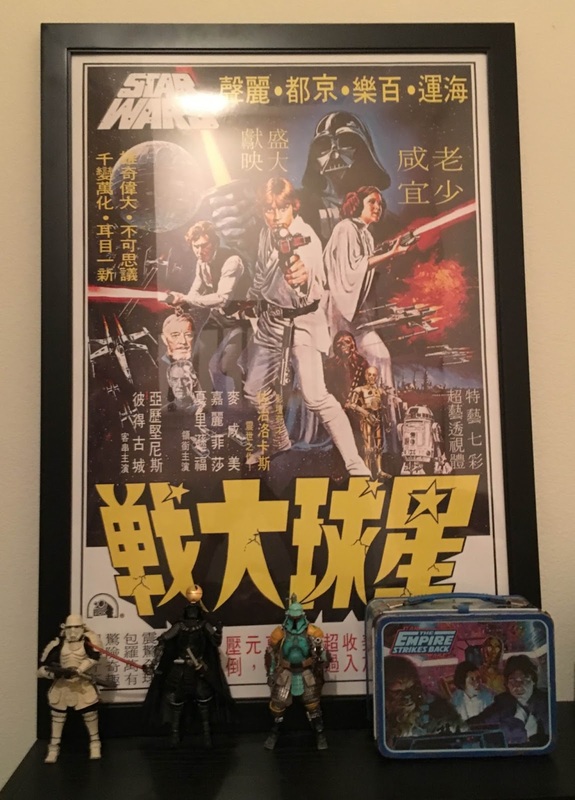 He accepted... and now it's proudly displayed on my Star Wars shelf with my trio of Bandai Movie Realization figures and Asianmovie poster. 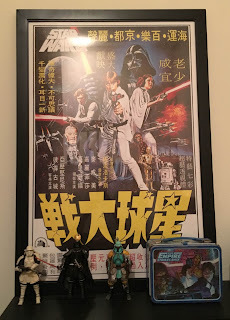 Anyone out there know what language this poster is written in? Well... he's back. On Tuesday he became the first positional player in MLBhistory to collect their first hit of the season in the World Series. 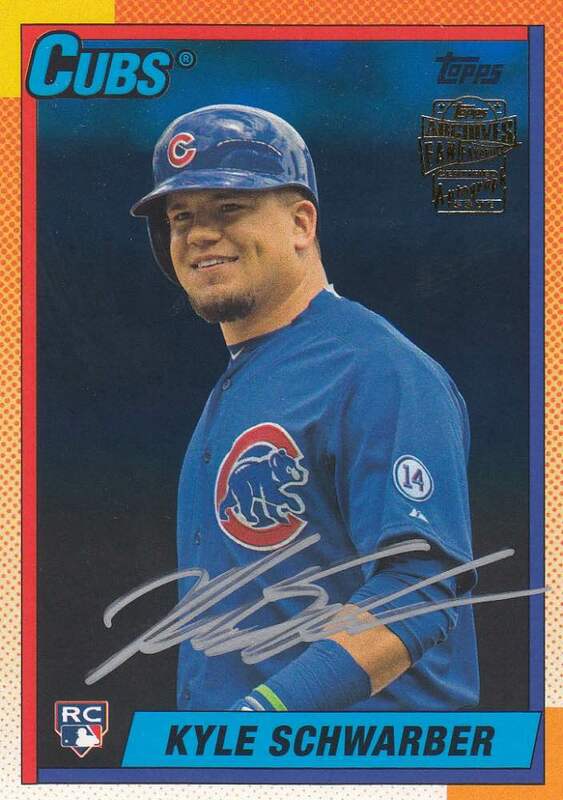 Yesterday he had two more hits and drove in two runs to help the Cubseven the series. I'm not sure how much playing time he'll get at home, but assuming he doesn't start... I'm sure we'll see him pinch hit at some point. That's all folks! I hope everyone is enjoying their week. Only one more day until the weekend! By this time tomorrow, I'll be sitting down with my legs up watching Game 3. Happy Thursday and sayonara!